Junior Bison Wrestling begins October 30th and is for boys and girls of all levels and abilities. New participants will learn the fundamentals of wrestling, while returning athletes will improve upon skills and techniques with plenty of live wrestling. 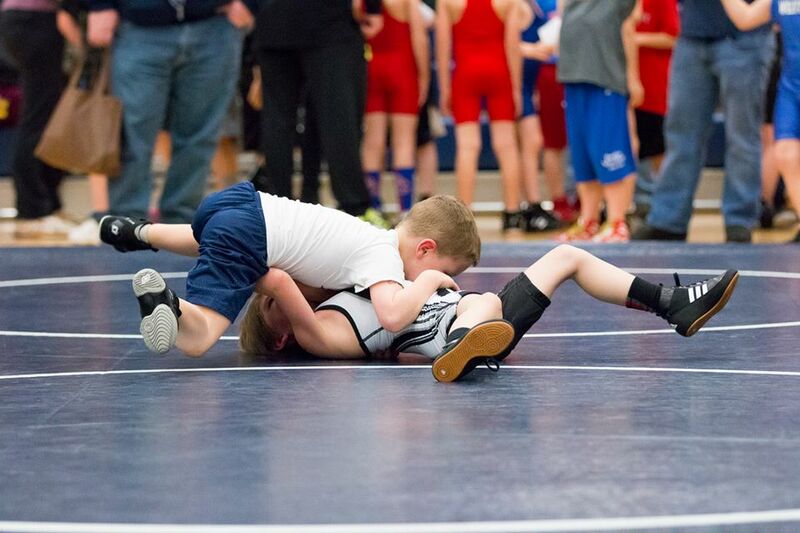 Wrestlers will compete in Sunday tournaments (matched by ability) throughout the winter, which may require additional fees dependent on tournament. Singlets, head gear and shoes are not required, but recommended, for all athletes. All leagues require an active USA wrestling membership, which must be purchased separately and before registering with the club. Visit USA Wrestling to get an active membership. Contact Coach Benedict with any questions on the registration process or other questions. $125 per wrestler (with sibling discount) in addition to USA Wrestling registration.